Dentist Encino: Should You Use Mouthwash? 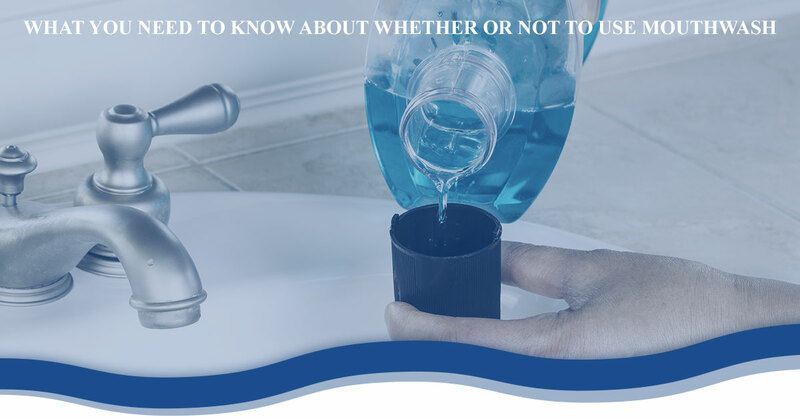 Recently, it has become popular to beat up on mouthwash, although many dentists and patients have already been questioning its effectiveness for years, but is there validity to the claims mouthwash supporters or deniers make? Should people use mouthwash, or is it better left off of the bathroom sink? Today, we’ll dive into it a bit! Swish, Swish, Spit or Toss the Wash? Pros: The alcohol content kills many decay-inducing bacteria, can help to alleviate canker sores, and freshens breath. Cons: For almost 50 years, many dentists and researchers have claimed that daily alcoholic mouthwash use can be linked to various oral cancers, plus alcohol, by nature, dries out your mouth, preventing saliva production, which can increase harmful bacteria. As you can see, the topic of alcohol is a touchy one; mouthwash producers avidly deny any of the harmful effects of alcoholic mouthwash, claiming that the pros outweigh the potential cons, while its critics point to the fact that mouthwash isn’t necessary, poses unnecessary risks, and could even lead to an increase in harmful bacteria after the sterilization effect of the alcohol wears off, largely due to decreased saliva. This has led to the creation of (much less effective) alcohol-free mouth rinses. Pros: Most mouth rinses contain fluoride, which greatly improve oral health and fight against tooth decay and gum disease. Cons: Brushing with a fluoride toothpaste and drinking a fluoridated water (basically any drinking water in the US) will give any person more than enough fluoride without a mouth rinse, making the rinse unnecessary at best and seen as a brushing replacement at worst. This issue basically boils down to “why not” versus “why bother?” The pros of fluoridated mouth rinses would point to the benefits of fluoride as if they are exclusive to the rinse, while critics demonstrate that the fluoridated portion of the rinse, while nice, is largely unneeded by anyone with healthy oral habits. So, critics claim, rinses are only beneficial in the absence of brushing, for which it is not a worthy replacement. We see a lot of patients at our dentist’s office, some who use mouth rinse and many who do not, and we can’t see any discernable difference between the two. If you choose to use mouthrinse to freshen your breath or help to wake up in the morning, we can’t see any real harm in it; we would, however, advise against an alcohol-based rinse, as the potential cons do seem to outweigh the pros there. At the end of the day, though, the risks and benefits associated with mouth rinse seem pretty insignificant compared to the importance of other positive oral habits, like regular brushing and visiting the dentist. If you do those things, odds are that your choice to use or forgo mouthwash is largely up to your own discretion.